I am a Coach that is developing Champions, given to me for a short time by Allah and I will do what I must to bring out the best in them because the best in them is from the best in me, alhamdulillah. Many of us have benefited from a coach in one way or the other. Or we have seen great teams that have overcome obstacles to win through it all. There are Olympic games and coaches from all over the world that are able to display to most countries on the planet the results of their training through athletes. Though most of us are not raising Olympic athletes, we are raising something much more signigicant, we are raising believers in Allah. I jokingly tell parents to be selfish and get good at being selfish! You can imagine the surprise on their faces until I explain that they should be selfish in getting barakat (blessings) and doing good deeds. We should be selfish to equip our children properly in Islam because they are a gate that Allah has informed us can get us rewards after we have passed away. "When a human being dies, all of his deeds are terminated except for three types: an ongoing sadaqah, a knowledge (of Islam) from which others benefit, and a righteous child who makes du'aa for him." (Muslim and others). So we know that positively reinforcing our values with our children does wonders! How many of us have a plan? A plan that details where our children are going, how they are going to get there and the check points along the way to insure they are on the right track? This tends to be the No. 1 mistake parents make! They fail to plan and expect that their budding family will grow to be strong if we only 'tell' our children what to do or if we send our children to the majsid (mosque) or to a Muslim school. If only it were that easy in today's society then we would have so many thriving Muslim communities with so much positive success that problems and straying would be so shocking that it would stop the heart from beating! The Coach has a responsibility to evaluate where the child is and what needs to be developed. 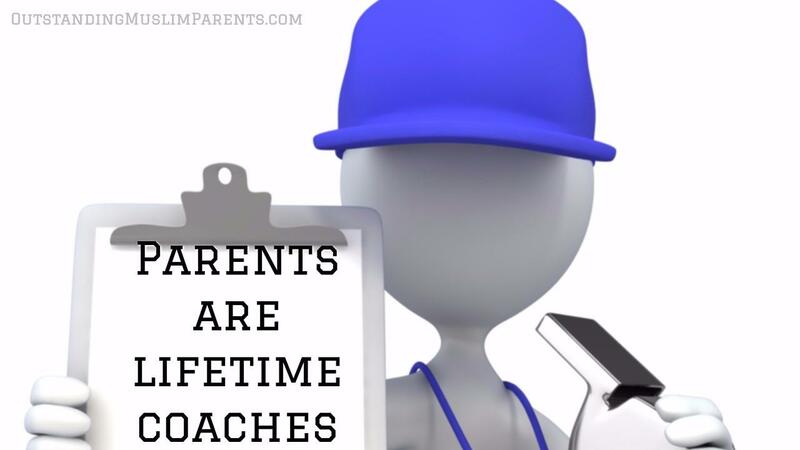 The great thing about a coach is that we can pull from our experiences and life lessons and apply that shortcut to the planning of our children. Coaches should stretch the vision of our children instead of choking their dreams! Discipline is extremely important, we are talking about discipline in learning, doing, and practicing repeatedly in order to have stellar performance. Discipline and Punishment is not the same thing here at OMP, both serve different purposes and both can be useful, however we focus on discipline because it teaches us and is right in line with our way of Life. 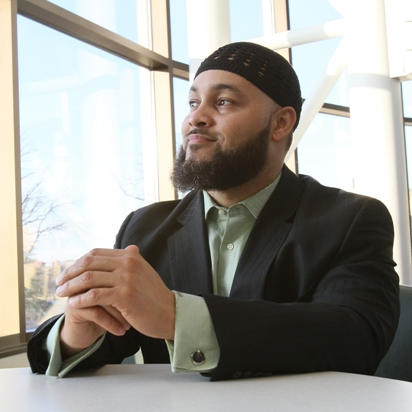 Islam is very disciplined, we pray at set times, fast a full month, perform specific rituals during hajj, and pay a specific amount of our wealth that we must calculate. Ma sha Allah these built-in mechanisms cause the believers to be disciplined. So we as coaches must recognize that we discipline, stay focused, we stretch our children, cheer on, and we also celebrate the small victories as well as the large victories. Our children may or may not recognize what we put into their upbringing and planning but the reward from Allah is enough. 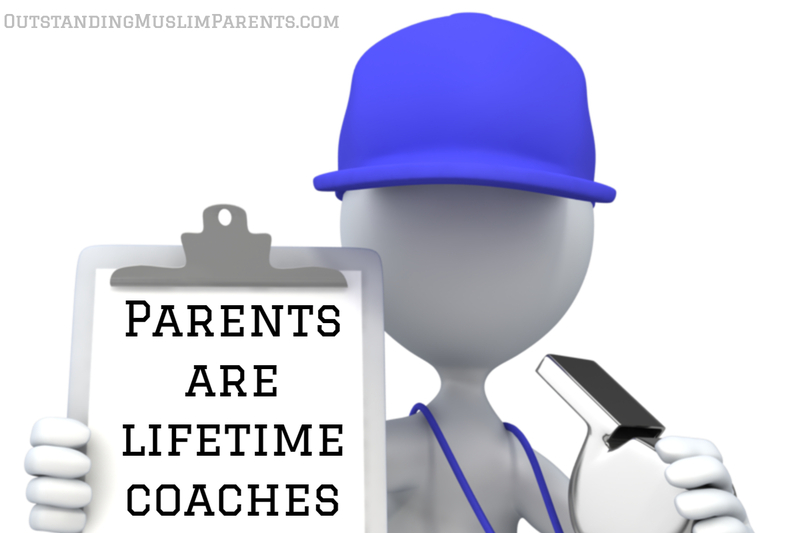 Allah has chosen to bless us with a team and gave us the role of coach, so let's take what we must in this game of life and use the plan book called the Quran and the best example, His Messenger, and learn from the lessons sent for us so that we can invest that wisdom into our children.